The Spartan-George V-14 Dagger is Spartan Blades first collaboration with the gifted and prolific knife maker; Les George. 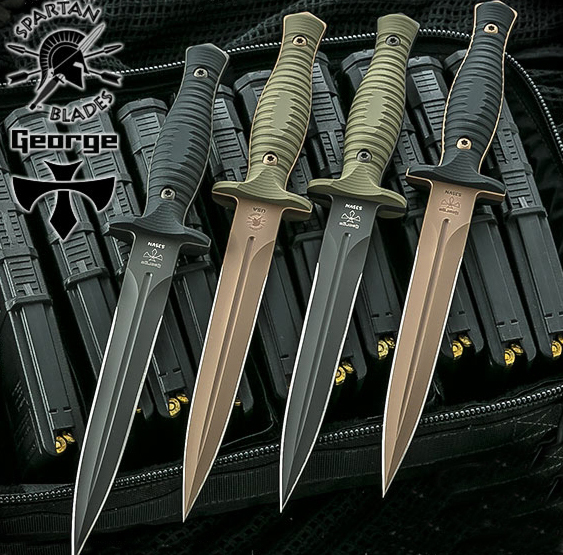 Daggers have come to symbolize the elite of our military special operations units and intelligence agencies, since the forming of the OSS. We wanted to take a classic profile and improve it with better materials and thoughtful design. A full-tang design along with the 0.25 inch precision ground thickness makes for a very reliable blade. 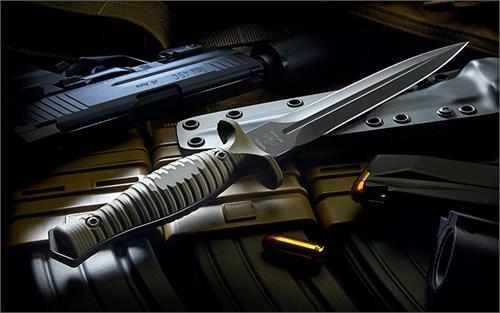 After hollow grinding 4 very symetrical bevels, each blade is vacuum heat treated, double deep cryogenically treated and double tempered to add to edge retention and toughness, thus curing a problem that has plagued past military daggers. The ergonomic and textured handle is specifically designed with comfort and confident grip. The handle is a divergence from tradition as it is oblong with flats on each side to assist in the indexing / use of the knife during hours of limited visibility. 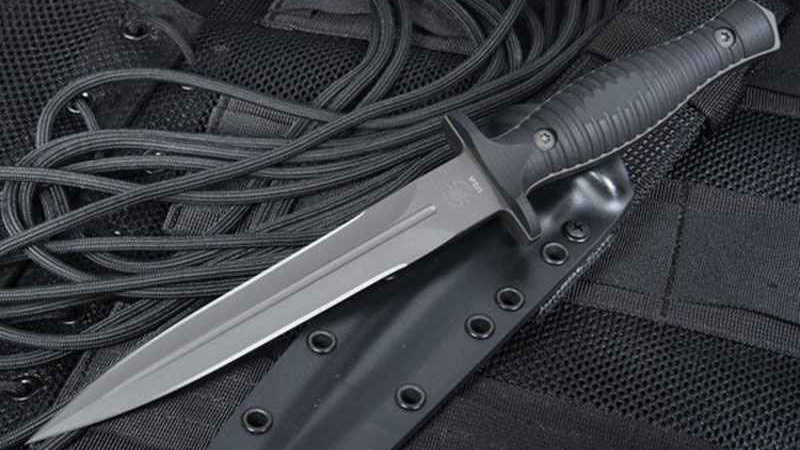 This is a real combat dagger!